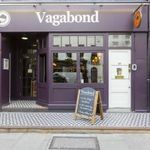 "Our second Vagabond is in the buzzy heart of gastronomic London just a couple of minutes from Goodge Street and Tottenham Court Road tube stations. We’ve refined things a little with more seating and a separate downstairs function area but kept the same philosophy that wine is meant to be discovered, drunk and enjoyed. Enjoy 100 wines by the glass from our enomatic-style tasting machines and begin your journey to discover great wine. Get in touch for more information on bookings, tastings, wholesale and events."